Mullocks next auction will take place at the Clive Pavillion Ludlow on Saturday 20th March with 780 lots of tackle. I was speaking to a friend recently who was looking to collect something “different”, well he could start with a Walker Bampton Wallace Watson reel. 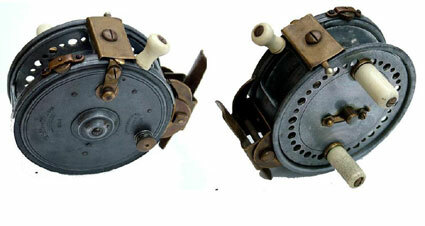 These unusual reels sell for anything between £200 and £300 and I think there are only three models to collect. For further details and the online catalogue follow the link below.